John A. Fairman, a native of Cleveland, Mississippi, was appointed Chief Executive Officer of Delta Health Center, Inc. in 2009. With over 44 years of solid managerial experience in community-based primary care delivery, managed care, integrated delivery systems, teaching hospitals and consulting, Mr. Fairman is committed to making quality healthcare accessible to all patients in need. During his nine (9) year tenure at DHC, Mr. Fairman has expanded healthcare services and created nine (9) additional sites in the impoverished Mississippi Delta. DHC now has facilities in Mound Bayou, Cleveland, Greenville, Hollandale, Moorhead, Indianola, Rolling Fork, and Mayersville, MS. DHC serves medically underserved counties of Bolivar, Sunflower, Washington, Issaquena & Sharkey. In 2013, DHC was awarded a five-million dollar grant from the U.S. Department of Health and Human Services to construct the new Dr. H. Jack Geiger Medical Center, a 26,000 square feet, state-of-the-art health care facility in Mound Bayou. Dental services have been expanded to Hollandale, locested in lower Washington County, and also serving Sharkey and Issaquena counties. The new facility is named in honor of Dr. H. Jack Geiger, a Principal Founder of Delta Health Center. Despite the declining population in the Mississippi Delta, the number of patients served by DHC continues to grow. These and other accomplishments can be attributed to his demonstrated ability in building and maintaining relationships within communities and other stakeholders, overseeing and improving finances, and his understanding and implementation of strategic operational procedures. Prior to DHC, Mr. Fairman served as President/ Chief Executive Officer of several other organizations: The Fairman Group, Inc. and Provident Hospital of Cook County in Chicago, IL, Health & Hospitals Public Benefit Corporation (PBC) in Washington, DC, DC General Hospital in Washington, DC, and Denver Health & Hospitals (DHH) in Denver Colorado. While at The Fairman Group, Inc. for nine (9) years, Mr. Fairman grew corporate revenues from zero to $1 million annually within twelve (12) months. He reviewed the financial management and control policies for ten (10) community health centers for HRSA projects in 2007-2008. As a member of the consulting team, he evaluated plan restructure and healthcare delivery systems for the city of Nashville and Davidson County. (b) Accreditation from the Joint Commission on Accreditation of Health Care Organizations. Mr. Fairman also boosted medical staff morale and confidence in administration which resulted in overturning a prior vote to establish a collective bargaining unit. While at PBC, Mr. Fairman reduced collective bargaining units from fourteen (14) to eight (8) through consolidations. He maintained profitability despite four (4) consecutive years of reductions in legally required government funding and ten years of no capital budget funding, achieved JCAHO scores of 92% for DC General Hospital; 94% for the Corporation and obtained the first “DC State Licenses” for free standing health centers. While at DC General Hospital, Mr. Fairman shrunk a $40 million deficit within the first nine (9) months as Executive Director. He integrated hospital programs with ten (10) community health centers and established community advisory councils. He also secured the first capital funding in ten (10) years, implemented an aggressive grants development program, and positioned a creative managed care program that recaptured market share. While at DHH, Mr. Fairman increased grant funds from $500 thousand to $50 million and reduced a $12 million deficit during his first year as CEO. Insurance program (Shared Options) was established for small employers with less than 50 employees. The first internal controls and management accountability program was established along with accountability within the Public Health Department and Coroner’s Office under his supervision. Mr. Fairman received his Bachelor of Science Degree in General Business from Hardin-Simmons University, Abilene, Texas and received his Masters in Health Care Administration from Trinity University in San Antonio, Texas. 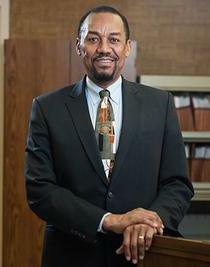 He is currently on the Board of Directors of the Mississippi Primary Health Care Association, a nonprofit membership organization representing the interests of 21 Community Health Center (CHC) members in their efforts to improve access to health care for the medically underserved and indigent populations of Mississippi. He is also the current Board Chairman of Mississippi Health Safe Net, a health center controlled network with 13 collaborating member organizations.